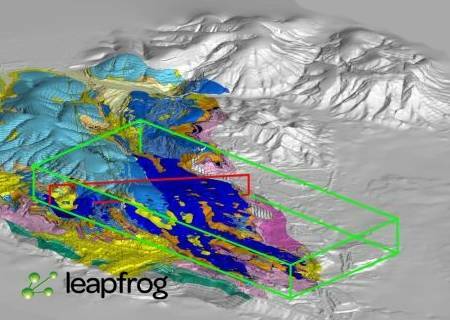 ARANZ Geo Limited, developer of 3D geological modelling software Leapfrog, has released Leapfrog Geothermal 3.2, is a workflow-based 3D geological modelling tool that helps you get the most out of all your data. Leapfrog Geothermal’s powerful implicit modelling engine bypasses time-consuming wireframing and produces models directly from boreholes, points and surfaces. Models update dynamically when new data is added to a project, making it easy to keep models current and reducing the risk of making key decisions based on out-of-date information. ARANZ Geo Limited designs and develops 3D geological modeling software solutions for mining, energy, environmental, geothermal, and hydrogeological industries. The company offers Leapfrog Geo, an implicit geological modeling solution for the mining industry; Leapfrog Hydro for use in various stages of hydrogeological projects from water resource evaluation to modeling for contaminated site investigations and risk assessment; Leapfrog Geothermal for use in every stage of a project from initial proof-of-concept to reservoir management; and Leapfrog Mining, a toolbox approach to 3D geological modeling for Leapfrog experts who want the control of specific applications, such as vein modeling and structural folding. Its suite of products enables geologists to generate geological models in a real 3D environment through the use of implicit modeling.